Share Expy Multimedia: JAMB Effectively Scraps Scratch Cards, Redesigns Website. JAMB Effectively Scraps Scratch Cards, Redesigns Website. Remember when JAMB earlier promised to scrap the use of scratch cards? Well, we can now confirm that the board has now officially effected the scrapping of use of scratch cards, and has further redesigned it’s portal to cater for the new changes. The change is really here! All previous scratch cards have now been invalidated. So if you previously had any scratch card, USED or UNUSED, you can no longer use them on the new portal. Even if you would like to re-print your result slip or JAMB admission letter, you will need repay to do that. If you initially saved the document somewhere, good for you. All who requested this service through us however, are immune to this, as you can always log into your account here and re-print for free. With the new system in place, candidates will now be required to have internet enabled ATM cards to be able to print their JAMB result slips, Admission letter or use any e-facility. Parents can also help their children make payments, BUT if you have more than one Child, you will need to choose which of them you would like to purchase a service for, as 1 account can only process services for 1 JAMB registration number. This simply means if you purchase JAMB result slip for JAMB registration number 12345678AB, you can purchase JAMB admission letter and other services for only 12345678AB. It is therefore advisable for candidates themselves to create a JAMB account using their emails and phone numbers, right from Registration (From 2017 UTME). As for scratch card vendors, cafe operators, business centres, the new JAMB system has been designed to limit or totally prevent multiple requests from different JAMB registration numbers. You will therefore have to find alternatives or maybe register as an accredited JAMB centre. Whether or not this restriction will be lifted to allow candidates, who don’t have bank account an option, only time will tell. The portal seems to still be under construction, as we see some facilities are either not yet active or contain certain errors. 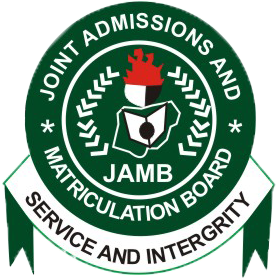 Some of the systems currently described above may change as the 2017 UTME registration draws closer, but until then, JAMB no longer uses scratch cards. Period!